This particular tip was inspired by conversations between fictional main characters in Patrick Taylors’ Irish Country Doctors series. One has to know a sense of direction in order to succeed. If you go from, you will always wonder if you could have made it in that situation you choose to leave. But then if you don’t go to, you could end up regretting it for the rest of your life. I intend to include it my RECOMMENDED READING on my hospitality sites and in my supervisory seminars. 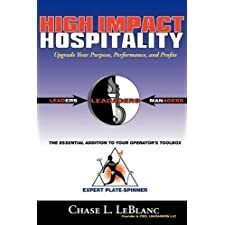 In this relatively short book (140+ pages), there are 19 easy-to-follow chapters that address a range of major areas that impact the potential of success for hospitality managers, with an emphasis on restaurant and food and beverage operations. Chapter one offers a fresh perspective as LeBlanc introduces the concept of the word “leadager”, which is a combination of leader and manager. The author asks solid questions if one can be a competent manager without being a leader and vice versa. He stresses that it takes a certain type of manager to apply themselves to be a great leader. Chapter two stresses the need for the individual in their managerial journey to increase their own knowledge and value, which will help increase the potential for self promotion and advancement. He offers seven specific capabilities that are worth noting. Chapter five offers excellent insights on the practice of values and the value of practice. It provides logical and correct lessons for first time assistant managers. Chapter seven provides managers with insights on balancing and addressing both the routine and the unexpected in the volume activity of hospitality management. Chapter eight stresses the values of systems and knowing how to teach it to others. Chapter nine details five Critical Areas of Concern in hospitality operations, especially in food and beverage operations. Chapters eleven and twelve cover the universal appreciation, frustration and satisfaction that can be found when one becomes the real manager or a leadager of a successful operation. Chapter thirteen has a series of excellent mock checklists that have an excellent range of ideas and suggestions of things that could and/or should be addressed. Chapter 15 discusses OWNERSHIP: the start-up, the fear, the excitement, the reality! Chapter eighteen is an excellent way to sum the messages of this book: 95 Things to Know and Learn Before You Need em! There are also lists of additional suggested reading. This book is an excellent resource and contains many practical ideas for managers on how to improve the guest experience, their staffing employment and the profitability of their restaurant or hospitality business. I find it contains messages of value for both newcomers and seasoned managers. Senior Management is convinced, committed and regularly contributes to the program. There is a philosophy and a plan. Measuring Progress continually is required. Quality needs to be rewarded. Maintaining Constant Re-enforcement, Stimulation and Change. Realization that when quality goes up, so do net long-term profits. Quality Assurance programs need to become part of everyone’s Standard Operating Procedures. Quality Assurance and improvement is a never-ending voyage. In my work as an educator and consultant, I work with both family businesses of various sizes and with traditional corporate structures. Each of them have a common need – planning for the future by either growing their own talent or by identifying and addressing their weaknesses them by finding the right professionals to strengthen their businesses. This means active succession planning, which sounds muck easier than it actually is. I am not fond of the series titled “for Dummies” but some of these books do a credible job at simplifying the approaches needed to address the topic. This is one of them. 1. What Is a Succession Plan, and Why Do You Need One? Succession planning plays a role in extending a family business into the next generation by resolving issues of responsibility and authority needed to succeed. It can allow a business to pass from one group to another in a sale by ensuring the operational, marketing, and financial and people services are maintained. Dr. Arnie Dahlke, the author, has both academic, business and experience credentials to justify his messages and the book offers a guide, using clear and succinct techniques. I liked the “Where to Go from Here” at the end of the introduction, which summarizes the need and background for planning. 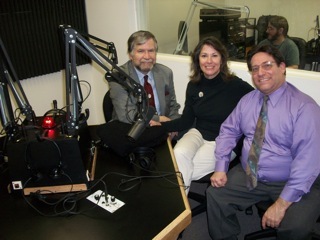 KEYS TO SUCCESS is the umbrella title for our programs, hospitality services and columns. This year’s writings focus on a variety of topics for hotel owners, managers and professionals including both my “HOW TO” articles, HOSPITALITY CONVERSATIONS™, Lessons from the Field™, Hotel Common Sense™ , THE P-A-R PRINCIPLE™ and Principles for Success. 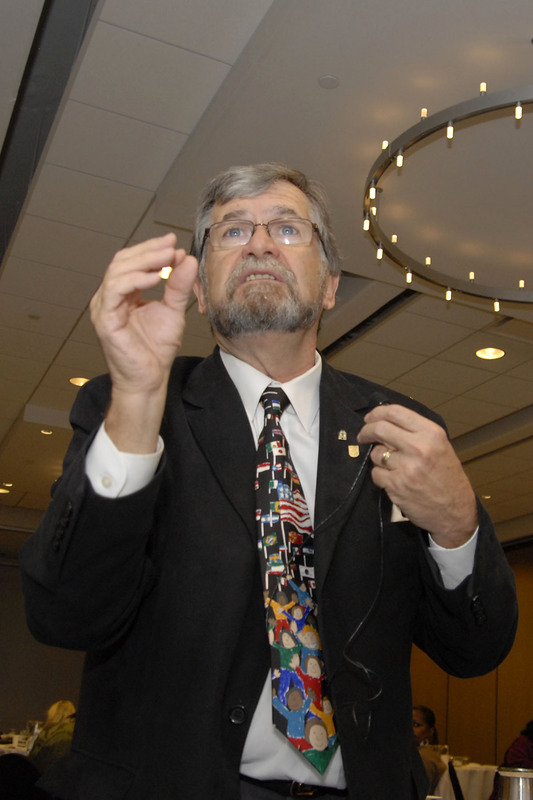 John Hogan is a successful hospitality executive, educator, author and consultant and is a frequent keynote speaker and seminar leader at many hospitality industry events. He is CEO and Co-Founder of HospitalityEducators.com , which has more than 2000 resource pages and has become the #1 independent website for hotel owners and managers. He is also the Principal of HoganHospitality.com, which offers hotel expert witness services and hospitality consulting. 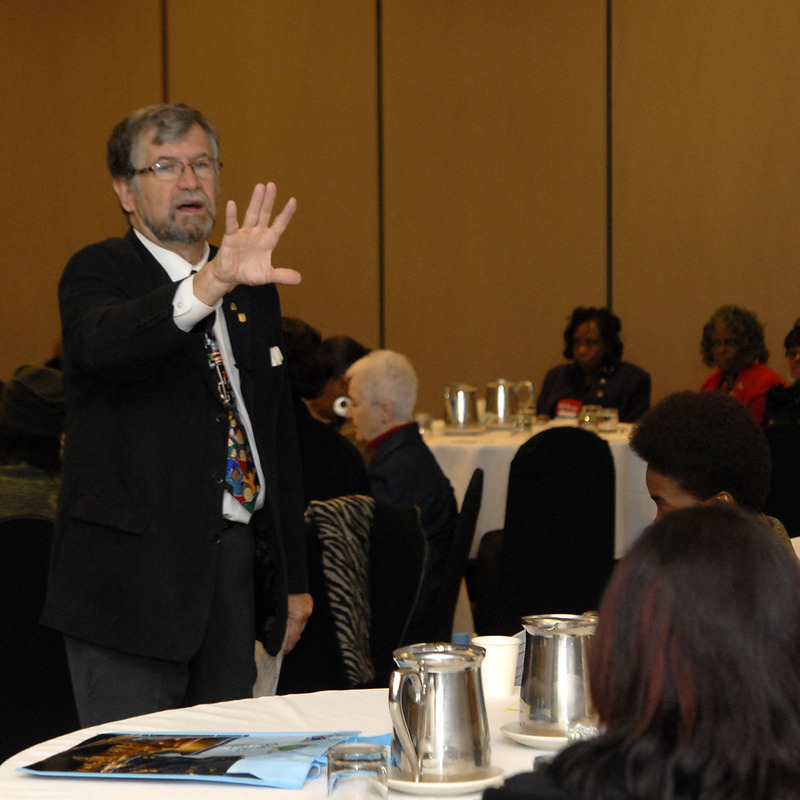 KEYS TO SUCCESS™ is the umbrella title for our programs, hospitality services and columns. This year’s writings focus on a variety of topics for hotel owners, managers and professionals including both my “HOW TO” articles, HOSPITALITY CONVERSATIONS™, Lessons from the Field™, Hotel Common Sense™, THE P-A-R PRINCIPLE™ and Principles for Success. My first interaction with Brian came in the late 1970s after a massive hotel fire in Atlanta. The entire hotel of 400 suites and rooms, 30 conference rooms, two large ballrooms, two restaurants and what had been the number one disco in Atlanta were completely shut down. While the hotel staff and management received national recognition the following year for its well trained response to the fire, the experience was an eye-opening one for me as the resident manager in rebuilding the facility and the hotel’s reputation. Based in New England, Brian worked with Dunfey Hotels and many other national companies . Brian was a master project manager with great vision and stamina. While it might seem simple enough to have had a generous insurance reimbursement, planning from scratch is not nearly as simple as that sounds. In a period before “ just in time delivery” options and computer simulations, Brian taught and delivered advance planning, intricate and coordinated deliveries and trade construction, with extensive content in quality checklists. The entire hotel was completely renovated and reopened less than six months after the devastating fire. Over an eight month period, Brian shared design insights with the hotel ownership, management, staff and the insurance company that included his gift of conceptualization at a time far in advance of those shared today on Restaurant Impossible, Hotel Impossible and many other cable offerings. Brian had a successful career as a consultant, management company owner, designer and entrepreneur. Brian and his spouse Sheila worked together on many renovations and projects over a 15 year period with me and others across the US. The descriptor of the English Hotelier Extraordinaire is used and because Brian used his English perspectives to focus on delighting guests. He was known for using space creatively and efficiently, in operating hotels profitably and for fair business practices. Time and circumstances intervened and we lost touch. It remains a regret to me that we did not reconnect, as he passed away in that time. I always found Brian’s standards to be of the highest quality, his integrity was front and center and I learned a great deal from this consummate professional. Think back a moment on people who have impacted you and your career – it is worth the time for reflection. This one-of-a-kind book offers practical, proven information for hotel professionals on all aspects of Internet marketing, which hoteliers can use to improve their revenue and online presence. All the strategies illustrated – from traditional search engine marketing to mobile, social media, e-mail, and website optimization – have been successfully deployed to create good return on investment for client hotels of Milestone Internet Marketing. The book provides practical tips in easy-to-understand language, and offers nearly a dozen handy checklists to monitor a property’s Internet marketing progress. I have watched the author’s progress in helping hoteliers the past ten years and I extend her our compliments.